During the "54th session of Scientific & Technical Subcommittee of COPUOS (Committee on the Peaceful Uses of Outer Space)" at Vienna in February 2017, UNOOSA requested Member States to propose new initiatives for UNISPACE. 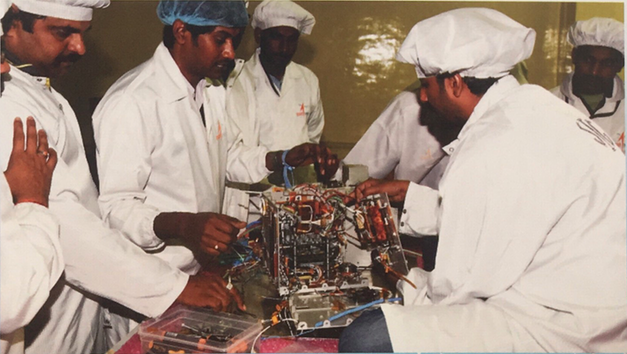 As a contribution towards this, India is announcing a capacity building programme, INDOUNSSP (India UN Small Satellites) on small satellites development through a combination of theoretical coursework and hands-on training on Assembly, Integration and Testing (AIT). In June 2018 the international community will gather in Vienna to celebrate the fiftieth anniversary of the first United Nations Conference on the Exploration and Peaceful Uses of Outer Space (UNISPACE+50). U. R. Rao Satellite Centre (URSC), formerly known as ISRO Satellite Centre (ISAC), being the ISRO's lead centre for satellite building, has formulated the basic structure of this programme. This announcement brochure provides the details of capacity building programme on small satellite realisation to be conducted in coordination with UNOOSA.